NXG Heating’s boiler installation services are fast, affordable, and reliable. Our highly qualified Gas Safe registered engineers are there to help you every step of the way from identifying the location for your new boiler to providing training in how to use the controls. As experts in boiler installation and central heating, our team has the knowledge and experience necessary to help you select the best boiler to suit your needs and your budget. Our professional advisers can also help you to find a cost effective boiler replacement in London. We can supply and install an extensive range of new boilers that are designed to be more energy efficient and can save you money on your heating bills. We have access to the industry’s leading brands and we can help you identify the best make and model to suit your budget. In addition to installing boilers, we can also provide on-going service and repairs for all types of boilers all across London. While modern boilers may not last as long as their predecessors, they will certainly provide far greater efficiency resulting in a noticeable reduction in the cost of energy. Like selecting a car, not all boilers are made equal and there are different types to suit different needs and requirements. We have worked with all types of boilers in London and that gives us expertise in helping to identify which boiler is best suited to your needs rather than those of the manufacturers. Modern high efficiency boilers can save you as much as 30 percent off your energy bills while cheaper boilers can be an expensive headache. From Vaillant boiler installation to Worcester boiler installation, Baxi or Ideal, we’ll help you choose the most suitable solution for your budget and home requirements. The professional experts at NXG Heating conduct boiler installations almost every day across London. Our installation process begins with an initial assessment and technical survey to identify your requirements. We are there to provide assistance every step of the way while installing your new boiler from identifying the location of your boiler, to selecting the right boiler for your home heating needs, and providing training for safe operation. Since gas can be very dangerous, only our highly qualified Gas Safe registered engineers perform installations of new and replacement boilers. In the event of an emergency, our engineers are also able to perform London Vaillant boiler installations on very short notice. 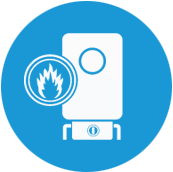 Once installation is complete, clients are provided with a Gas Safe Building Regulations Certificate to demonstrate compliance and a copy of the manufacturer’s boiler warranty. We ensure that all installations satisfy the requirements of the manufacturer to ensure the validity of the warranty. With NXG Heating, you can rest assured that we work only with quality manufacturers to provide you the highest quality product for the best value on the market. We provide competitive pricing, no hidden fees, and professional installations. If your existing boiler is more than ten years old and does not have condensing technology, we recommend switching to a new boiler to reduce heat loss and save money on your energy bills. With superior service, professional expertise, and quality workmanship, NXG Heating is a trusted name in boiler installation. We have been installing boilers in London for several years to a wide range of clients. Call us today to let us help you save money on your energy bills as quickly as possible.